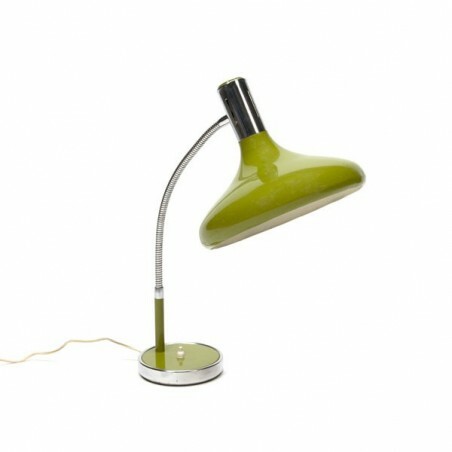 Vintage table / desk lamp from the sixties, Italian design. 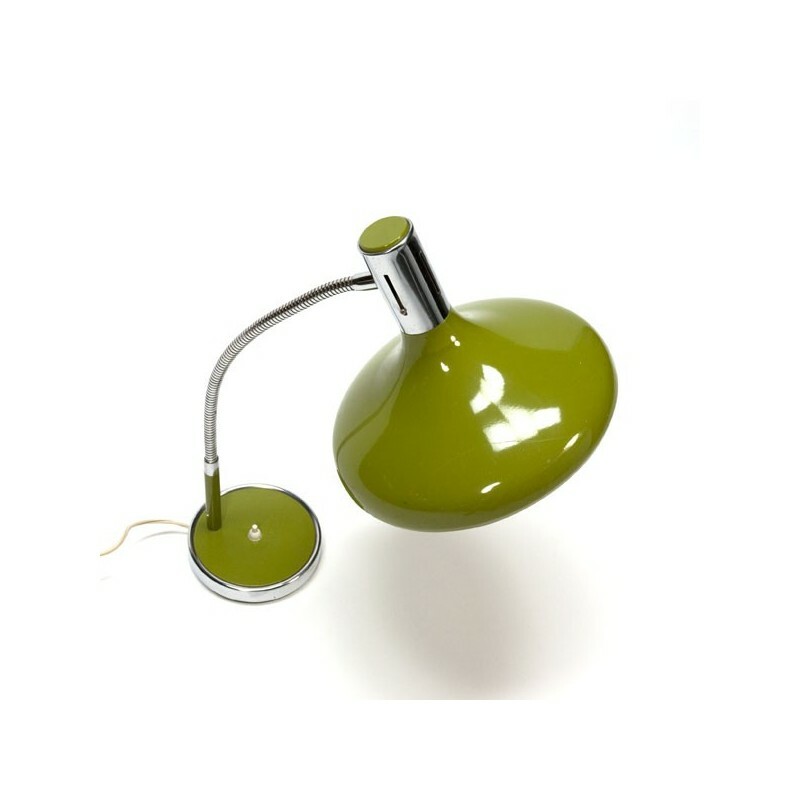 The lamp has a large green shade and a flexible arm. The condition is fairly good, the shade has some slight damage to the edge, see the detail photos. 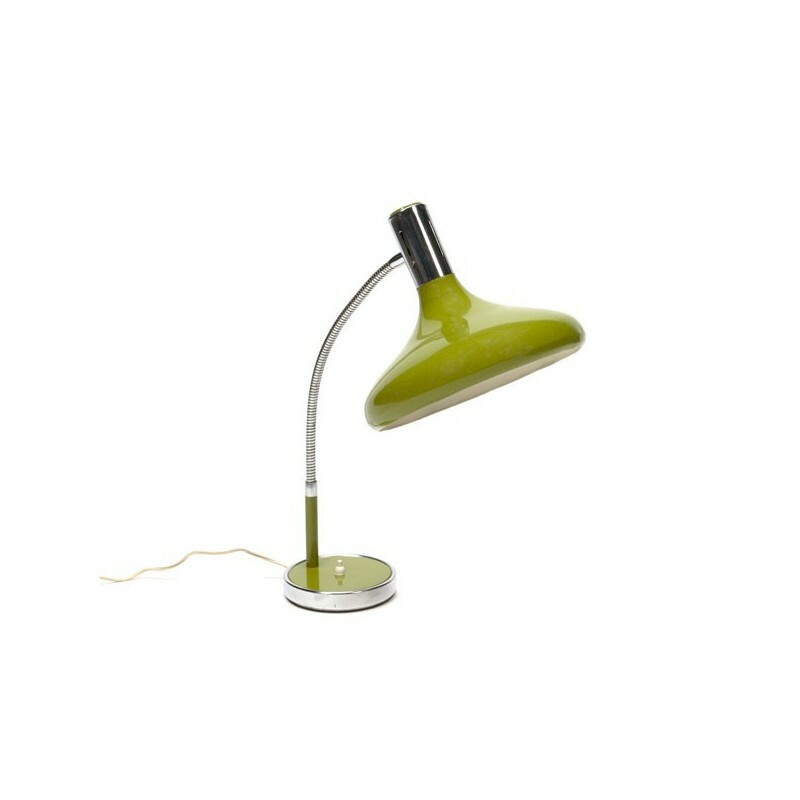 The size is up to 50 cm high and the shade is 26 cm in diameter.